– Are you looking for a great way to spice up your fitness blues? – Would you like to learn practical techniques that will help you in a self-defense situation? Then the Fargo Muay Thai Kickboxing Program may be just what you’re looking for! What can you expect in a Fargo Kickboxing Class? 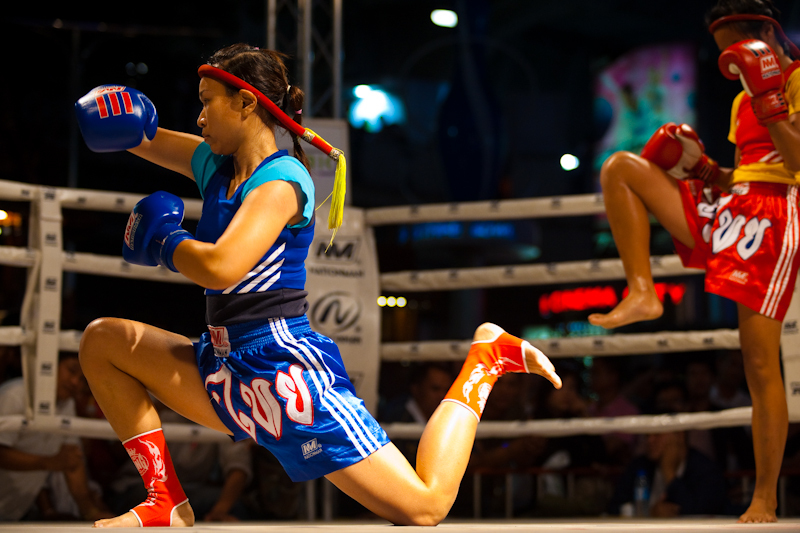 Structured, Instructor Lead classes that combine Traditional Muay Thai techniques with ‘New School’ Fitness and Teaching methodologies. A Welcoming, Fun and Exciting Fitness Experience. A Team Oriented and Family Friendly atmosphere. Fundamental and Advanced skills for students of all Ages and Abilities. Conditioning, Strengthening, and Fat Burning all in one workout! We wont just “Tell you what to do”… You’ll learn the ‘Why’s’ and become educated in your own personal fitness. Improve Body Awareness and develop better Hand Eye Coordination. A Positive, Healthy and Safe environment to learn and reach your goals. A community of Awesome, Like Minded People! Get a Great Workout AND Learn Real Self-Defense Skills! TRY IT FREE - Enter your info in the box and we'll set it up! Your Gateway to a Fitness Lifestyle! If you are looking to learn and develop healthy habits, knowledge and skills that can drastically change your life for the better then contact us right away to try your Free Trial. In the Fargo Kickboxing program you will get an incredible Strength Building, Fat Burning and Cardiovascular Workout while learning actual Self-Defense Skills you can use in the real world. In addition to the physical benefits, you will also enjoy the many social benefits of working within a large, dedicated community of like-minded fellow students as you learn, support and have fun together pursuing your goals. The Fargo Kickboxing Program is for Everyone! Men and Women, Young or Old… Here you will find a program where all ages and abilities can safely train and succeed! Contact us TODAY by entering your information into the box above and we’ll contact you to set up your FREE Trial. We look forward to Seeing you On The Mat!